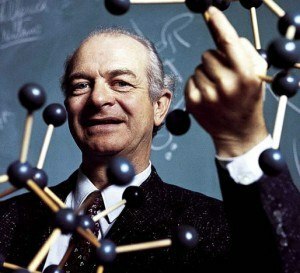 Do you remember Linus Pauling? He won not just one but two Nobel Prizes in his life – one for chemistry and another for opposing the use of weapons of mass destruction. He wrote 1200+ scientific papers in his lifetime. Later in life, he became fascinated with vitamin C, and set the early foundation of what this vitamin really was capable of doing in the body. But in Linus Pauling’s time (1901-1994), many medical doctors didn’t believe what he said about how vitamin C helped boost the immune system, prevented cancer and was important for collagen production. “Linus Pauling and his most controversial scientific conjectures about the health benefits of vitamin C are being confirmed. The weight of evidence may yet force the medical establishment to accept his ideas on nutrition and health. To understand the importance of this antioxidant vitamin, you have to think about how your body is continually manufacturing collagen. It does this to maintain and repair the connective tissues lost to daily wear and tear and free radical damage. For example, if you work out at the gym, proteins in your muscles are broken down and must be replaced. This repair mostly happens while you’re getting a good night of sleep. But you need vitamin C for this. If you don’t have enough vitamin C, you can’t build new collagen and this ends up causing a wide variety of problems throughout the body. Vitamin C is use in nearly every step of the collagen formation process. One of the diseases caused by a lack of vitamin C is scurvy. 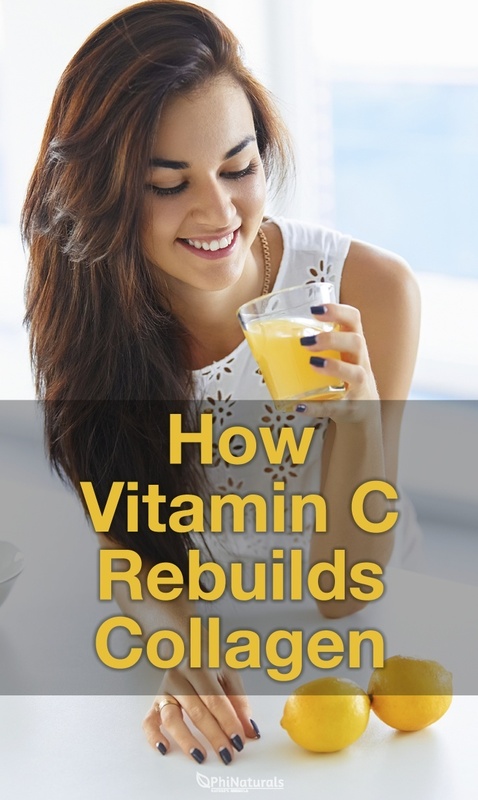 Lack of vitamin C disrupts the body’s ability to manufacture collagen and connective tissues. In scurvy, the body literally falls apart as collagen is broken down and not replaced. Tendons shrivel and weaken. Joints fall apart as their cartilage withers away. Teeth loosen and fall out. The connective tissue in the mouth can’t hold the teeth anymore and also they start disintegrating. Organs are held together by connective tissues but with scurvy, the shape of the internal organs starts to weaken and soon they begin to fail. Blood vessels disintegrate, which leads to easy bruising and bleeding because they rupture and hemorrhage in the body. You might have seen this in older people who have big bruises underneath the skin of their arms and hands. In time, the various body tissues weaken so much that disease sets in. And the immune system, which depends on vitamin C for fighting microbes, also starts to fail. Before long, death sets in. This is scurvy and it’s what happens when your body doesn’t have the vitamin C it needs to rebuild collagen. The body literally falls apart. If you want healthy collagen, the most important nutrients needed are vitamin C, the amino acid proline, and the amino acid lysine. Of course, you’ll also need many vitamins and minerals to act as catalysts to support protein synthesis, too. Vitamin C is used to form the triple helix collagen molecule. When collagen is created in the body, vitamin C is actually used up as it combines with lysine and proline. The first precursor of collagen formed is called “procollagen”. From procollagen, other types of collagen may be formed in triple-helix form and vitamin C is also used in this step as well. Type I: Found in connective tissue in skin, bone, teeth, tendons and ligaments. Type II: Found in cartilage. Type III: This type of collagen forms connective tissue for the purpose of shape and strength of the internal organs. It also connects the organs to each other. Type IV: This type of collagen forms sheets between layers of cells in the blood vessels, muscles, and eye. Vitamin C is used to make all of these collagen types, so it’s one of the most important nutrients for building healthy tissue. Once collagen is created, it is under constant attack from being used. For example, the friction in your joints can wear down on the structure of collagen. 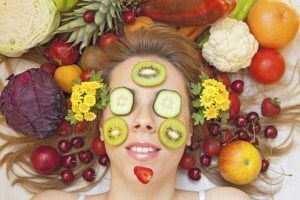 Toxins and free radicals in the body can also attack the collagen structure. The most popular function of Vitamin C is as an anti-oxidant, and it’s one of the best for protecting collagen from damage. How Do You Get the Vitamin C You Need For Healthy Collagen Production? Many people know that you can find vitamin C in citrus fruits. But did you know that the following other foods are also good sources? Juices fortified with vitamin C are also a good source of vitamin C. You should know that vitamin C is destroyed by light, air, and heat, so the best way to get the vitamin C is to eat fruits and vegetables in their raw state or lightly cooked. Even pasteurized juices will have less vitamin C than raw, fresh juices. You can purchase either natural or synthetic vitamin C (also called ascorbic acid) in a variety of forms. Tablets, capsules, and chewables are probably the most popular forms, but vitamin C also comes in powdered crystalline, effervescent, and liquid forms. Be careful with chew-ables as it’s not good to have the acid on the enamel of your teeth. If you chew on too many you might start feeling sensitivity on your teeth. Make sure to rinse your mouth afterwards. Vitamin C comes in doses ranging from 25 mg – 1,000 mg.
You’ll also find a form of vitamin C called “buffered”. This is good for those who find that regular ascorbic acid upsets the stomach. An ester form of vitamin C is also available, which may be easier on the stomach for those who are prone to heartburn. The best way to take vitamin C supplements is 2 to 3 times per day, with meals, such as breakfast and dinner. However you decide to take it, you must be consistent. Missing a dose can make your body start to exhibit scurvy symptoms with bruising. Some studies suggest that adults should take 250 – 500 mg twice a day for any benefit while Linus Pauling regularly advocated more than 2,000 mg per day, especially for those who had allergies, immune system deficiencies, and other degenerative diseases. Linus Pauling was right all along about the importance of this vitamin. Everything breaks down in the body when there’s not enough vitamin C. By taking this vitamin, you take a big step in providing the essential building block for the creation of new collagen. Call Us Now @ (888) 507-8958 to try Collagen Complete today.